Tim Dempsey has been the Hansa Sailing authorised distributor for New Zealand since 2009. His family company, The Agency Ltd, is based in Auckland. 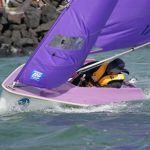 He was a founding member of the NZ Hansa Class Association and has worked hard to expand the number of people enjoying sailing Hansa yachts in New Zealand. 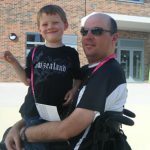 Tim is a sailor himself and has competed at the London Paralympic sailing the SKUD 18. He has also sailed the Liberty at many international regatta’s. Tim has extensive knowledge of Hansa yachts and has also helped many new Sailability groups get set up in NZ. He has also run National Championships and World Championships. Contact Tim for advice on the best equipment / yachts for your group, he can even help with many resources to help you set up a new Inclusive sailing group in your local area.